The amount of methane waste is even higher than what was found via a preliminary analysis of the data earlier this month. The simple truth is that while some companies are working to do the right thing and reduce emissions, the bulk of the oil and gas industry in Pennsylvania has a significant methane pollution problem. Methane is the same product that these companies are aiming to sell. That means there is usable energy, and real dollars, literally going up into thin air. With emissions increasing nearly 30% without a congruent rise in production, it’s clear the industry isn’t doing an adequate job of controlling emissions and conserving Pennsylvania’s natural resources. This is not only a problem for industry’s bottom line, it’s a problem that impacts millions of Pennsylvanians. More than 1.5 million Pennsylvanians live within half a mile of an oil or gas facility, and methane isn’t the only emission that’s concerning. These facilities also emit other harmful pollutants that can trigger asthma attacks, increase smog, and exacerbate health problems. The good news is that Pennsylvanians don’t have to choose between their environment and their economy. With the right policies in place, both can thrive. But that’s only possible if the state moves forward to address industry’s methane emissions. Fortunately, technologies that can reduce nearly half of these emissions are some of the most affordable pollution controls in the energy industry. And many of the service and manufacturing companies that develop these technologies are headquartered in Pennsylvania, meaning there’s a huge opportunity for companies to affordably reduce their pollution as they grow good-paying jobs. With emissions on a rapid rise, it’s clear that the state should step in and require pollution controls to be implemented statewide. In January 2016, Governor Tom Wolf proposed a blueprint to reduce industry’s emissions. A year and a half later, there has been little action. That’s due in no small part to a bill championed by many of the same senators in yesterday’s hearing that aims to prevent Pennsylvania from taking any action on methane that goes beyond federal efforts. That’s hugely problematic, and here’s why. In April, the Environmental Protection Agency issued a 90-day stay on existing protections that would have cut methane pollution from new oil and gas facilities, and there is a possibility that the agency will rescind these protections altogether. This means that if Pennsylvania defers to the federal government for protections, well, they won’t be there. Tying Pennsylvania policies to whatever is happening in D.C. hardly serves the interest of Pennsylvania citizens and communities – instead, it’s a bouquet to industry. Other major energy producing states, including: Colorado, Wyoming and Ohio, have been successful at crafting policies that require companies to use affordable and readily available technology to reduce emissions. And industry growth hasn’t been impacted – seven out of 10 gas companies surveyed in Colorado confirm that. 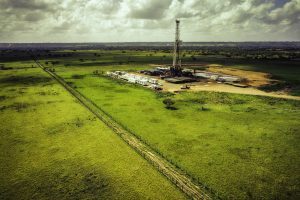 Since promising to reduce methane emissions, Pennsylvania has green-lighted nearly 2000 new drilling projects, yet zero new protections have been implemented. With emissions increasing at an alarming rate, that has to change. We have to have a better balance. Pennsylvania’s elected leaders must be willing to put measures in place that can support Pennsylvania’s economy while protecting the health of our citizens and communities. The record clearly shows that both are possible.